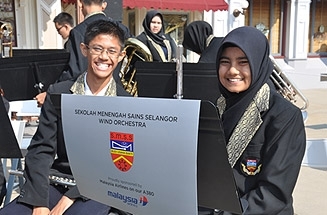 Science Selangor Secondary School’s (SMSS) The Wind Orchestra, or better known as The Renaissance, led by conductor Mr Eric Lee Yin Fah, won the Gold Award in the 5th Winter Band Festival 2013 held in Hong Kong on 30th November to 4th December 2013. 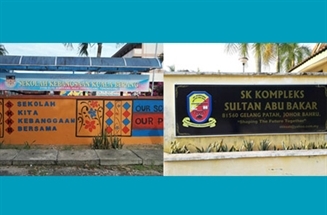 Two of PINTAR schools have been awarded with Cluster School Status by our Ministry of Education Malaysia. The awarded schools are SK Kuala Berang, Terengganu sponsored by Tenaga Nasional Berhad and SK Kompleks Abu Bakar, Johor sponsored by UEM Sunrise Berhad. A student with Special Needs (OKU), Ahmad Sharif Iskandar bin Ismail from Sekolah Kebangsaan Padang Pulut achieved 5As in the Ujian Penilaian Sekolah Rendah (UPSR) announced on 14th November 2013.